Inducted 2012. Best Known for His Career as the Boys Basketball Coach at QND. The man who helped create the Quincy Notre Dame Hall of Fame is now a part of it. Kies is best known for his career as the boys basketball coach at QND. His teams won 157 games in eight seasons, winning more than 70 percent of their games. He also coached the boys golf team to a 162-80-4 record and five state tournament appearances, finishing fourth in 1983, 1987 and 1990, fifth in 1995 and sixth in 1985. He was inducted into the Illinois Golf Coaches Hall of Fame in 1995. 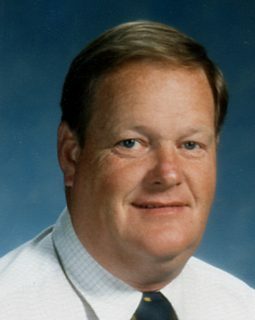 He served as the school’s athletic director from 1989 to 1996, and he was named the state athletic director of the year in 1995. 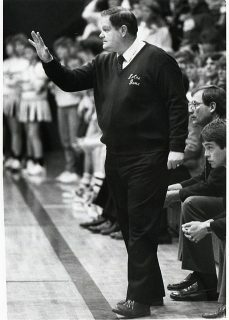 He created the Tip-Off Tournament in 1983, and it is now in its 30th year as one of the biggest fundraisers for the athletic program at QND. He also created the Hall of Fame in 1991. Kies also had the vision to create the athletic complex at QND. The football and soccer teams used to play their home games at Flinn Stadium, the softball teams played at Maranatha Park and the baseball teamsplayed at Q-Stadium. All home games are now played on the QU campus after Kies worked with school officials to lay the groundwork to build the fields at 10th and Jackson. After he left QND, Kies became the athletic director at Marian Central Catholic High School in Woodstock, Ill. He is now retired and still lives in Woodstock. His wife of 49 years, Anne, died in July 2011. He is the father of three daughters, Kathie, Jennifer and Cynthia, and two sons, Dan and Jon, and he has 14 grandchildren.